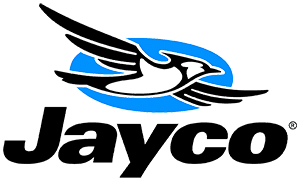 What is a Jayco REDHAWK? Redhawk, Jayco RV: The Redhawk offers one of the best values in its category - without skimping on superior handling and solid construction. It features JRide®, a powerful blend of precise handling and renowned stability. When the ride is this smooth, the fun is easier to find. 2019 Jayco Redhawk 31XL, Jayco Redhawk 31XL class C gas motorhome highlights: Cab-Over Bunk Bunk Beds 8 Cu. Ft. Refrigerator Sofa Rear Bedroom Start thinking about all the places you and your kids will visit while driving down the road in this Redhawk class C gas motorhome. Model 31XL allows you to travel and sleep in comfort as well as dine and get cleaned up in your own RV. You will find a semi-private rear bedroom for yourself, a semi-private bunk bed room for the kids, and a TV over the cab for everyone. When it's time to retire for the evening, the walk-around queen bed, and bunk beds provide your own bedding no matter where you choose to stay. You can either cook meals or heat up leftovers, the choice is yours. You will even find a place for your golf clubs, camp chairs, and kids' toys in one of the exterior storage compartments. It's time to stop thinking and start planning your family vacation in a Redhawk motorhome. With any Jayco Redhawk class C gas motorhome you will get reliability and value on the open road. From the molded, seamless fiberglass front cap protecting you from the wind and rain, and the JRide package for the ultimate driving experience, to the rear backup camera that feeds directly to your in-cab monitor to help you reverse with more visibility, you will find satisfaction for years to come. There is interior storage throughout including under the queen bed, and an exterior pass-through compartment with a light to keep all your gear organized and ready for each trip. Come see why you should own a Jayco Redhawk motorhome! Almost new RV sold by owner - only used twice in the year. First owner. Sleep 10 persons in a very comfortable environment. V-10 engine with low miles on it. Looks and drives like new! Mint condition, barely used. Other family priorities have kept us from getting to go camping over the last year or two. Our RV has been kept under covered storage and is well maintained. 2019 Jayco Redhawk 31XL, Bunks! Ford Triton V10, 2 Slideouts, Air, Power Awning, Rearview Camera, 4.0 Generator, Over-Cab Bunk, Couch-Bed, Booth Dinette, TV, CD/DVD, Sound System, Microwave/Convection Oven, Cook-top, Refrigerator, Furnace, 2 Year Warranty. Options included in this price:Nantucket InteriorCustomer Value Package:- 32" LED TV- 8 CU FT Refrigerator- Backup Camera and Monitor- Electric Awning- Front Fiberglass Cap- Infotainment System- J-Ride Package- Tank Heating Pads Town and Country RVs Up-Front Pricing for Camper Purchases: Other dealers charge expensive Prep Fees, Destination Charges, Propane Fill Costs and Demonstration Fees - WE DO NOT! Give us a shot, a quick email or phone call could save you thousands of dollars! 2019 Jayco Redhawk 31XL, Jayco Redhawk 31XL class C gas motorhome highlights: Cab-Over Bunk Bunk Beds Two Slides Dinette Sofa Rear Bedroom Start thinking about all the places you and your kids will visit while driving down the road in this Redhawk class C gas motorhome. Model 31XL allows you to travel and sleep in comfort as well as dine and get cleaned up in your own RV. You will find a semi-private rear bedroom for yourself, a semi-private bunk bed room for the kids, and a TV over the cab for everyone. When it's time to retire for the evening, the walk-around queen bed, and bunk beds provide your own bedding no matter where you choose to stay. You can cook meals or heat up leftovers, the choice is yours. You will even find a place for your golf clubs, camp chairs, and kids' toys in one of the exterior storage compartments. It's time to stop thinking and start planning your family vacation in a Redhawk motorhome. With any Jayco Redhawk class C gas motorhome you will get reliability and value on the open road. From the molded, seamless fiberglass front cap protecting you from the wind and rain, and the JRide package for the ultimate driving experience, to the rear backup camera that feeds directly to your in-cab monitor to help you reverse with more visibility, you will find satisfaction for years to come. There is interior storage throughout including under the queen bed, and an exterior pass-through compartment with a light to keep all your gear organized and ready for each trip. Come see why you should own a Jayco Redhawk motorhome! 2019 JAYCO REDHAWK 31XL, If you re in the market for a Class C, this 2019 Jayco Redhawk 31XL could be what you re looking for. This Redhawk Class C peacefully sleeps 9. 3 Bunk Bed(s), 2 sofa bed(s) and 1 queen bed helps your family enjoy nighttime dream adventures too. And contains a Bunkhouse. And a master bedroom conveniently located in the Rear. This Redhawk Class C has a lot to offer the RV adventurer, like a Center kitchen with Bench Seats, Front living area and Center bathroom. The Redhawk 31XL Class C make on-the-road living easy with features like a stove with 3 oven burners, Mid-Size refrigerator, 1 TVs, and more. This Redhawk 31XL, has a GVWR of 14500 lbs . It also offers 1 Black Water Holding Tank(s), 1 Fresh Water Holding Tank(s), and 1 Gray Water Holding Tanks. 1 door(s), 1 awning(s), 2 slideout(s), and rig this Class C.
2019 Jayco Redhawk 31XL, Jayco Redhawk 31XL class C gas motorhome highlights: Cab-Over Bunk Bunk Beds Dinette Sofa Rear Bedroom Start thinking about all the places you and your kids will visit while driving down the road in this Redhawk class C gas motorhome. Model 31XL allows you to travel and sleep in comfort as well as dine and get cleaned up in your own RV. You will find a semi-private rear bedroom for yourself, a semi-private bunk bed room for the kids, and a TV over the cab for everyone. When it's time to retire for the evening, the walk-around queen bed, and bunk beds provide your own bedding no matter where you choose to stay. You can cook meals or heat up leftovers, the choice is yours. You will even find a place for your golf clubs, camp chairs, and kids' toys in one of the exterior storage compartments. It's time to stop thinking and start planning your family vacation in a Redhawk motorhome. With any Jayco Redhawk class C gas motorhome you will get reliability and value on the open road. From the molded, seamless fiberglass front cap protecting you from the wind and rain, and the JRide package for the ultimate driving experience, to the rear backup camera that feeds directly to your in-cab monitor to help you reverse with more visibility, you will find satisfaction for years to come. There is interior storage throughout including under the queen bed, and an exterior pass-through compartment with a light to keep all your gear organized and ready for each trip. Come see why you should own a Jayco Redhawk motorhome! At Fretz RV we have a process for ordered units, that you can get the best deal right from the comforts of your own home. Simply contact our Order Wholesale Dept. and let us know which model you prefer. We will email you an order sheet. You can fill out the order sheet and return to us. We will price it up for you and tell you what the MSRP is and also give you the discounted price* that would be lower than any dealer in the area. The price listed is for an ordered unit only at base and CVP Package Only. This is a special program that Fretz RV has on ordered RVs. Once you agree to the price, simply give us a deposit over the phone or by mail and we will order your future RV! Once the RV is ready, you have can pick it up from the dealership. We are a top dealer for all 2017, 2018 & 2019 , Jayco Seneca, Greyhawk, Redhawk, Precept, Melbourne, Alante, and Prestige motorhomes in the Philadelphia, Pennsylvania, Delaware, New Jersey. Maryland, and New York Areas. These campers come on the Ford, and the Mercedes diesel sprinter chassis. These luxury motor homes are in the top of its class. These motor coaches are considered a class B+, C, A, & Super C. These high end luxury coaches come in various different floorplans. Model like 22J, 26XD, 22C, 22A, 25R, 29XK, 31XL, 26Y, 29ME, 29MV, 29W, 30X, 31DS, 31FS, 30XP, 31FSP, 29MVP, 24K, 24L, 24KP, 24LP, 29V, 31UL, 35S, 33U, 36T, 31P, 31R, 29S, 31V, 26X, 37FS, 37HJ, 37K, 37RB, AND 37TS. We also carry new Pleasure Way, Coachmen, Roadtrek, Hymer Carado, Leisure Travel Vans, Unity, Winnebago, Itasca, Sunstar, Sunova, Spirit, & Renegade Vienna Villagio. We also carry used and Certified Pre-owned RVs like Airstream, Tiffin Allegro, Wayfarer, Newmar, Freelander, Sunseeker, Fleetwood, Thor Motor Coach, Chateau, Hurricane, Bounder, & are always below NADA values. We take all types of trades. When it comes to RVs, we are your full service stop. With over 72 years in business, we have built an excellent reputation in the RV industry to our customers as well as our suppliers and manufacturers. At Fretz RV we have a 12,000 Sq. Ft showroom, a huge RV Parts and Accessories store. We are adding a 30,000 square foot Indoor Service Facility opening Spring 2018. We have full RV Service and Repair with RVIA Certified Technicians. Bank financing is available for RV loans with a wide variety of RV lenders ready to earn your business. We also have RV Insurance, RV Warranties, and RV Rental information. We have detailed videos on RV Trader, RVT, Classified Ads, eBay, and Youtube. Like us on Facebook Check out our great Google and Dealer Rater reviews at Fretz RV. We are located at 3479 Bethlehem Pike, Souderton, PA 18964 215-723-3121 *Price does not include, Taxes, Tags, Title, Registration, $135 doc fee, Prep, and Destination. THIS ONE IS FOR AN ORDER UNIT ONLY. Start Camping now and see the world. We pass RV savings Direct to you.  Jayco Redhawk 31XL, 2019 Jayco Redhawk 31XL Double Slide-Out Class C. Bunk house floorplan! The Redhawk offers one of the best values in it s category without skimping on superior handling or solid construction. Featuring JRide®, a powerful blend of precise handling and renowned stability. The Redhawk is an RV built to handle every adventure, and is backed by an industry-leading 2-year warranty! Standard features include Electric Patio Awning, Slide-out Battery Tray, Fiberglass Front Cap, Filtered Water System, Larger 15,000 btu Roof A/C, Electric Step and Heated Holding Tanks. Also includes Customer Value Package, 32 LED TV, Infotainment System, 1,000 Watt Inverter and Backup Camera. The MSRP is $100K but our price is slashed too low to advertise. Contact us for our LOWEST Price! Item #8369 DeMartini RV Sales VIN: C28995 See More Information, Large Pictures and more Motorhomes, Trailers & 5th Wheels on our website at demartinirvcom! Find us on Facebook, Twitter, Instagram & YouTube!